This is a favorite in my house. I have to make several batches a week for my son and husband. I like to dip carrots and cucumber slices in it, the boys use crackers. I prefer to make this than buy it so I can use organic chick peas and it is cheaper to make than buying it. I also can avoid the preservatives and make this complaint to FMD. In FMD, this is a healthy fat for phase 3. Put everything in a food processor or blender. I use my Vitamix. Blend on lower speed, scraping down the sides, if necessary. Turn speed up and continue to blend until the hummus is as smooth as you like. If it is too thick, you can add some filtered water, or a little more olive oil. Scrape the hummus into a covered container. 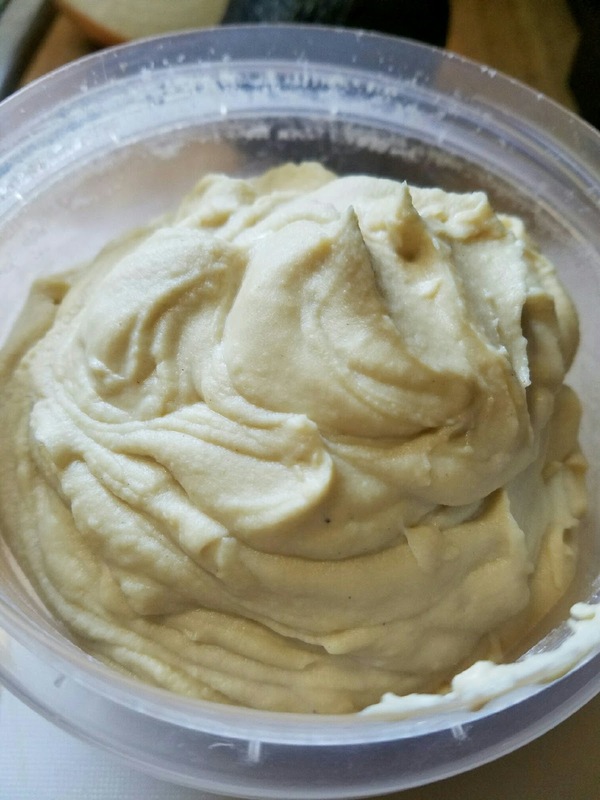 Let the hummus chill for a couple hours or overnight before eating. Store in the fridge, covered. *tahini is easy to make- just blend enough raw or toasted sesame seeds with enough olive oil to make a thin paste. This is often cheaper to make, as well. I cook chick peas in the crock pot over night- 1 part dried chick peas to 3 parts water. Cook on low. Then add them (drained) in place of the canned in the recipe. thank you for this recipe! Quick question....can this receipe be frozen? I would like to make a big batch & freeze it. Is that possible? I made this & it was amazing! So good & so easy! Thanks for sharing! !